The National Guard will have to scale back training and possibly cancel weekend drills unless the Pentagon can divert about $193 million into training accounts that have been depleted to pay for the ongoing mission at the U.S. southern border, the service’s top general told a Senate committee Wednesday. The border mission that began April 6, 2018, currently has about 2,079 Guard members in all four states that border Mexico. The mission, projected to cost about $247 million, is funded through the National Guard’s training budget, National Guard Bureau Chief Gen. Joseph L. Lengyel told the Senate Appropriations Committee’s Subcommittee on Defense. “If we don’t reprogram funds back into our training accounts, (we) will have to make modifications within our current appropriations that will either reduce our training opportunities or do things like cancel drill weekends to find the money,” he said. A single drill weekend costs about $100 million, Lengyel said. Sen. Richard Durbin, D-Ill., the ranking member, pressed the issue. “General, haven’t you come before this committee and told us you need readiness more than anything else?” Durbin asked. Lengyel confirmed that readiness is a top priority as outlined by the National Defense Strategy. “Would you like to explain to me how canceling drill weekends enhances the readiness of the National Guard?” the senator asked. The border deployment is expected to last through Sept. 30, which is the end of the current fiscal year. Durbin asked what is planned should the National Guard be asked to continue the border mission into fiscal year 2020. No funding for a potential border deployment extension is included in the proposed 2020 budget, the general said. Initially, Operation Guardian Support was expected to wrap up by the end of the fiscal year that ended Sept. 30, 2018. The Department of Homeland Security requested it continue, and in August, an extension was announced. The Defense Department authorized up to 4,000 Guard members to serve at the border, but the current, lower number has remained relatively constant. 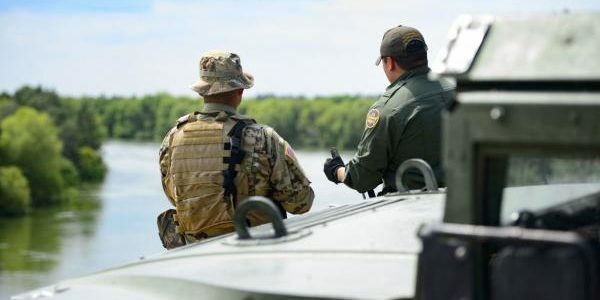 Though Lengyel said Border Patrol would like to see more Guard members supporting its agents along the border, he anticipates the number of deployed troops will remain steady through September. 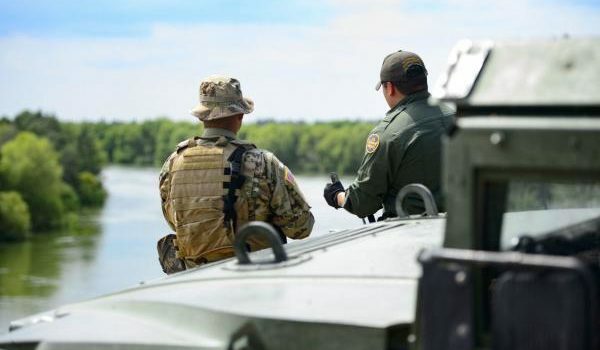 Operation Guardian Support has resulted in more than 51,500 arrests and the seizure of more than 21,300 pounds of illicit drugs this fiscal year, April Grant, a spokeswoman for Customs and Border Protection, said Monday. In addition to the National Guard, the president called for the active-duty military to support Border Patrol in October. That mission has about 3,100 servicemembers on the border and is expected to end along with the National Guard’s mission in September. Aside from the border, the 450,000 members of the National Guard were called upon 195 times last year to respond to emergencies, Lengyel said. There also are 30,000 Guardsmen mobilized on any given day in every combatant command around the globe.